Half the world’s population will be watching the Olympics; 83% of our schools are involved in the Get Set programme, Newcastle will host nine football matches, including the men’s quarter final. I reminded my fellow MPs that these match will take place at St James’ Park, not in some place that none of us have heard of called the “Sports Direct Arena”. I also took the chance to rise the number of business opportunity which the Olympics is bringing. Sotech in Durham, which has provided the roof cladding for the aquatics centre; Hart Door Systems Ltd, which has provided the roof shutters for the Olympic stadium; Hathaway roofing in County Durham, which has provided roof cladding for the international broadcasting centre, keeping all those 40,000 journalists nice and dry and warm; and International Paint in Newcastle, which has supplied the paint for aquatics centre. The other good thing is that the north-east will see the torch almost more than any other region. We will have it for five days, when it will take in things such as the angel of the north in Gateshead, the Penshaw monument in Sunderland, and Hadrian’s wall. Friday 15 June will be a spectacular day—I recommend this to people above all else—because the torch will travel from the Tyne bridge to the quayside by zip wire. I have doubts about this, because I am nervous that the torch might fall into the water but they tell me that that will not happen; on Saturday 16 June, I and many of my constituents will be welcoming the torch—indeed, many of them will be carrying it—as it travels across the Hexham constituency and down into County Durham. I am a big supporter of the East Tynedale games, which are organised by the chair of Wylam parish council and various other organisers in the Prudhoe, Wylam and Bywell region. They are having some difficulty with the rules around Olympic branding which is very tightly controlled but this won't be enough to dampen their or my enthusiasm for what will be a great chance to show of Great Britain at its best. Schoolchildren will be encouraged to visit important heritage sites across the North East under a new education initiative designed to bring history alive for youngsters. The Government’s Heritage Schools scheme – launched today by Education Secretary Michael Gove – seeks to use England’s rich island history to inspire children and enhance their learning. English Heritage will receive £2.7m from the Department for Education to help pupils understand their local history, and how it relates to the national story. 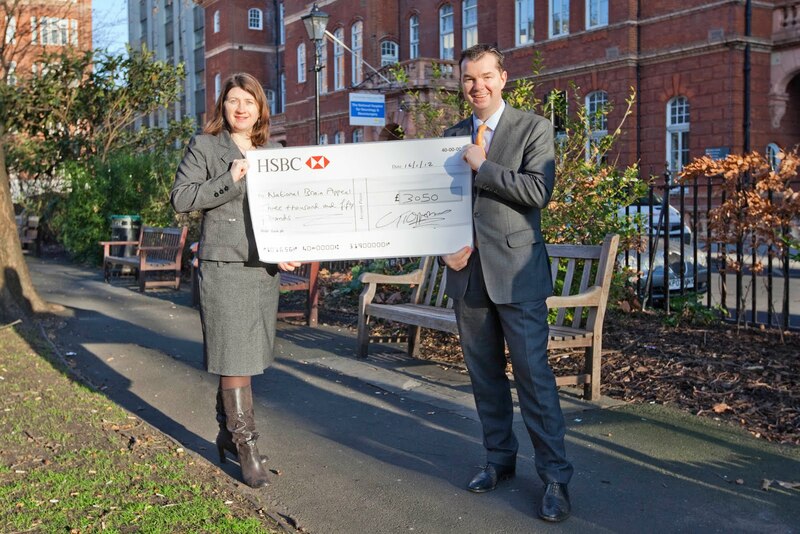 The organisation will use the funding to recruit a team of people with a background in education and history. They will work with groups of schools and use their knowledge and expertise to help teachers harness local heritage as a teaching tool for children. In the North East, English Heritage manages and maintains a wide range of historic properties which attract hundreds of thousands of visitors each year. They include four properties – Housesteads, Chesters and Birdoswald Roman forts and Corbridge Roman Town – on the 73-mile long Hadrian’s Wall World Heritage Site which spans almost 2,000 years of history. Other properties which schoolchildren will be encouraged to visit under the Heritage Schools initiative include Belsay Hall Castle and Gardens, Lindisfarne Priory on Holy Island, Warkworth Castle, Brinkburn Priory, Tynemouth Priory, Barnard Castle and Aydon Castle. Many of you will have read in the press that some in the Labour party and on the far left have criticised the governments Work Programme because of its work experience element. As part of the Work programme, which features tailored individual support like never before, those people claiming benefits are asked to do something in exchange for that money from the taxpayer. They work up to eight weeks for 30 hours a week in placements organised by the local job centre and at the end they may even be interviewed for a job. Is that so terrible? Yes say some in Labour (who are always happy to pay lip service to welfare reform but never actually support it.) One of the most valuable assets a job seeker can have is work experience on their CV. I'm much more in favour of a young person spending those 30 hours a week getting into the habit of waking early, getting ready for work, and developing their skills than sitting them in front of their xbox for 30hours each week. Getting work experience is good for job seekers but it's also fair. What has really frustrated me is that actually many of the objections seem to come from the fact some of these placements are in Tesco or Poundland. What absolute snobs. It's worth reminding those who protest at having to be 'forced' into working at such places that it's the workers of Poundland and Tesco whose taxes go to pay their benefits. It's worth noting both the former boss of Tesco and of M&S both started their working life on the shop floor. We have a tough challenge with unemployment and those who need help and support should get it, but until we scrap this stupid, inverse snobbish attitude that somehow its better to sit at home on benefits than work in Poundland we will have a long way to go. Victory in sight for Greenbelt battle? It looks like victory may be in sight for the campaign to save the Ponteland Greenbelt. Regular readers will know I have fighting plans by Newcastle City Council to dump 3,500 houses on the greenbelt between Callerton and Ponteland. "You are not intending to build on brownfield land first, nor are you intending to make significant use of the many unused empty homes across Newcastle and Gateshead. You only have to drive towards the City Centre to see a huge number of brownfield sites which could be developed sustainably. As a regular volunteer at Scotswood Community Garden I am deeply saddened that you would put forward these proposals for new housing estates in the middle of green fields while you continue to ignore these areas desperately crying out for regeneration, which has stalled for too long." It has been a very scary experience to see the Labour Councillors and MPs in Newcastle trying to claim they were being forced to build these houses on the greenbelt which was and always has been utter nonsense. We will find out their exact plans when the Labour cabinet meet on February 28 but I sincerely hope we see the threat to the Ponteland and Callerton greenbelt lifted once and for all. - highlight was going to Department of Energy and Climate Chnge with the team from the Green Alliance to hold our long awaited meeting with Greg Barker following last November's Green Deal summit. It went well as a first meeting and our foot is now in the door to DECC, and they have promised to work with us in the coming months as the consultation on the Green Deal progresses. We have further meetings to follow. and managed to get in to the Chamber for the debate on cycling with my Liberal Colleague Dr. Julian Huppert - we both back the Times campaign on cycling reforms. I signed the 2000 strong petition calling for Hexham bus station to be rebuilt on its existing site, which was presented to Northumberland County Council. Sadly the Lib Dem council bosses stated that their priorities for capital investment lay elsewhere. Now whilst I think the current site is the best option I am willing to be over ruled if the engineering work can't make it fit for purpose. However, the clear point is that Hexham bus station has been in a terrible state for far too long. It is one of the first buildings seen by many visitors to our beautiful town and does not make a good enough impression. It is my opinion that the county council should make it a priority to build a new bus station on the same location as the current one. The county council is planning three major capital investment projects, which are all in Morpeth and Ashington. I have written to the Leader of the Council to find out why Hexham bus station is currently not on their agenda. I recognise that cash is short at the moment but if they are spending £25 million on a new leisure centre for Ashington, I do struggle to see how they cant find less than £1million for something which is key to the economy of our town. Increasingly Hexham is getting a raw deal from the County Council. This follows on from a debate a few weeks back which divided NE Labour MPs as to whether there should be measures to address alcohol related harm. I stress that its purpose is not to ban drinking - I freely confess to being a drinker of bitter and wine, albeit I rarely drink during weekdays. I am a big supporter of the camapign of Dr Wollaston, a GP from Totnes, who has been leading this campaign and has spoken in support of this on several occasions. As an MP you learn very quickly there are certain institutions that you should never mess with, (the Whips for one!) but first amongst them is your local WI. The womens institute is made up of nearly a quarter of million ladies from across the country who are often the life blood and indeed backbone of rural communities. I was surprised then this week to receive correspondence from one of my local WIs at Heddon on the Wall after energy giant Npower slapped them with a bill for £5,315. What was the bill for? For years the meter had been misread, including by Npower themselves, and they have now decided its the good women of Heddon on the Wall who should pay up. Npower have since offered to reduce the bill but the ladies aren't for turning and they have my full support. I have written to the Chief Exec to ask them to drop this stupid request and I will keep everyone informed as to the response. Until they do may I recommend any of you who are currently Npower customers visit the wonderful USwitch website where you can change energy supplier. The first weekend in June promises to be the weekend to be in Northumberland. Others will head for Hexham and the Jubilee day celebrations that are being organised by the Hexham Council. A string of beacons is set to illuminate Tynedale to mark the Queen’s Diamond Jubilee celebrations in June. Up to six could be lit on high ground around the Hexham area as part of a national chain of lights on June 4. A day of music and entertainment is also planned, including a special musical programme going back six decades to the 1950s when Queen Elizabeth II was crowned. The beacons will be lit around 10pm as darkness falls. Health Screening for Cancer - Go for your test! Successive governments have begun to change the approach of the NHS from being reactive to a patients illness to being proactive and trying to prevent patients getting ill in the first place. The major campaigns for women are cervical and breast cancer screening. I am very supportive and involved in the campaign for bowel cancer screening: it is a North East success story - as we are leading the way in this type of screening, and the Speaker was kind enough to grant me a debate on the issue last year. More recently all members of the House attended the Speakers rooms for a Beating Bowel Cancer reception. Both Andy Burnham and the Secretary of State spoke, and there is cross party support for the Flexi Scope system that we are introducing. I would urge all readers to attend their appointments and take up the free tests that are available on the NHS. Do not ignore your symptoms - whether they be breast lumps or blood when you go to the loo. To die is inevitable. To die through a failure to treat a very curable disease is criminal. Bellingham and its surrounding area is a vast hinterland of land but home to only 3000 residents. 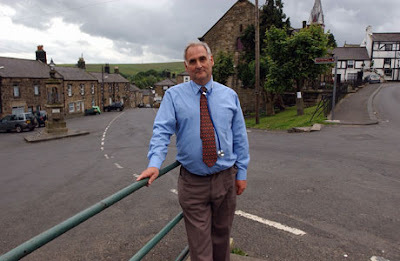 For some time the Friends of Bellingham Surgery (FOBS) have been in dispute with the Northumberland Care Trust about the extent to which they were funded as one of the most rural and complex GP practices in the country. I have met both sides and have sympathy for both - the care trust have a budget to keep to, and the GP practice has a more challenging environment than any I know in terms of size and ability to provide the basic services. Ultimately the FOBS challenged Northumberland Care Trust over their decision in a High Court judicial review into how the doctors in the rural area were being funded and treated. Clearly the matter is too complex for a blog and you can see full details on the FOBS website, but recently a High Court Judge agreed with the FOBS team and ordered a judicial review. Fortunately litigation in detail has now been avoided and the Northumberland Care Trust have agreed to reconsider the decisions it took surrounding the financial changes and make their assessments known by the end of next month. I, for one am pleased that the Care Trust are going to be looking at the decision afresh. I believe common sense has prevailed on both sides and welcome the parties approach. One final point: the FOBS claim was conducted for free by the Pro Bono Network and a very capable young barrister enlisted by FOBS. This makes me especially proud as my former career featured a great deal of work as a pro bono lawyer trying to empower patients or communities who felt powerless in the face of government organisations. Great night yesterday at the Kirkley Hall campus of Northumberland College Apprenticeship awards - well done to all the winners. I was very proud to be able to speak at the event which celebrated some of our fantastic local apprentices. All 3 spoke very well in their speeches, as did Mark Bolton, the Director of Business Development who I had met earlier in the week at our Jobs Summit in Prudhoe. The best bit was seeing the pride on the apprentices faces and hearing their stories. Almost as good was the sense of achievement the employers felt at having giving a young man or woman a start in life. People like Chris Curry at Persimmon, and Kenny More of Newcastle City Council, quite literally looked upon the successful apprentices as their surrogate children and their sense of achievements in their apprentices was great to see. I also got the chance to spent some time talking to the staff who are clearly doing a great job, and some of the new employers, who came from all over the region, but some as far afield as Merseyside! It was a great way to round of Apprenticeship Week which has saw us invite apprentices to speak with the Minister at our Jobs Summit, visit local schools and employers to promote apprenticeships and finally to spent a bit of time last night celebrating their fantastic achievements. A quick thank you to Liz and her team who made last night go so well. I'm proud to be a big champion of Apprentices. I'm also proud of the work this government has done to increase the number of apprenticeships. the news is really positive for apprenticeship training across the North East. The latest figures show that North East apprenticeship starts have risen 45% from 2009/10 to 2010/11. More importantly, the North East is getting the most benefit, our 45% increase compares favourably to a 36% increase nationally. Regional apprenticeship completions have also risen by 11% over the same period, compared to 5% nationally. 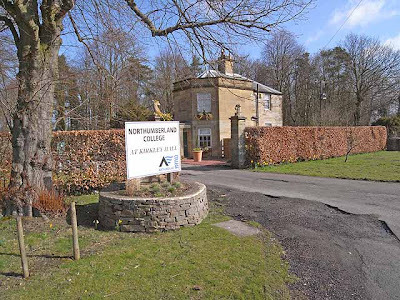 Tonight I am off to Kirkley Hall in Ponteland which is part of Northumberland College to celebrate some of their fantastic apprentices and their acheivements. 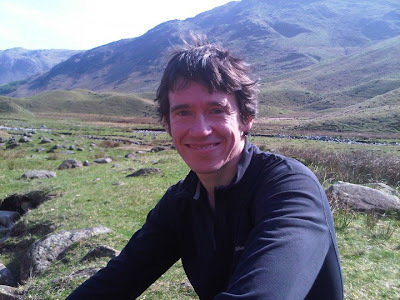 On Friday evening over 110 people are coming to Hexham Racecourse for a dinner where Rory Stewart, MP for Penrith and the Borders is the speaker. Anticipation is running high and we could have sold a lot more tickets. Full credit to all the Hexham team who have organised the event. Rory is a friend of mine, and has shone in the House of Commons since his election. You should read his award winning book, The Places in Between, a New York Times bestseller, translated into ten languages. He has served as a soldier in the Black Watch, a Harvard lecturer, and in 2003, he became coalition Deputy Governor of two provinces in the Marsh Arab region of Southern Iraq. He is always interesting. Like me he was elected in May 2010. He is on the Foreign Affairs Select Committee. His speaking style is almost unique in the House, as he has a definite lyrical, eloquent, historical approach: he also writes the second best blog in the North. Looking forward to it, just praying for no Snow! Two ways to show off the wonder of Northumberland - full credit to the BBC and our special tour guides Jedward! John Craven and Jules Hudson toured the North Pennines and met skilled engineers passing on their knowledge to the next generation in Haltwhistle, farmers reintroducing hay meadows to the Allendale Valley and volunteers in Nenthead fighting to keep alive the rich memories of the mining industry. The Hadrian’s Wall episode of a new children’s TV show starring Jedward which will be broadcast on Friday, February 10. The X-Factor stars visited the World Heritage Site in their mission to become the UK’s best tour guides. 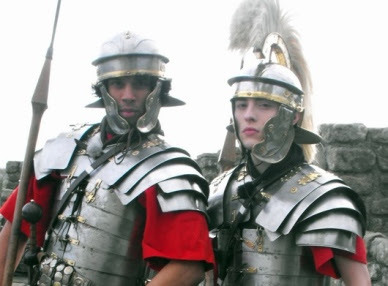 Filming for Jedward’s Big Adventure involved the twins trying to learn all about Roman Britain in just 24 hours. Jedward stopped off at key locations along the wall for history lessons from experts. Caroline Sinclair, marketing manager for English Heritage’s Hadrian’s Wall Group, was full of praise for Jedward. Just home and its getting much colder now, late on Feb 7th, 200 years after Dickens birth, and in suitably Dickensian style the temperature is likely to drop down to as low as -15 tonight! My thanks to everyone at the Prudhoe Community High School who hosted the event today with Chris Grayling - many positives emerged out of the day: it was good for the Minister to hear the specific problems that we face and for him to explain what it is the Coalition are trying to do for long term unemployed, tackling youth unemployement and so much more of what we discussed. My thanks to businessmen and women, the councillors, students, teachers, apprentices, church leaders, community organisers, specialist trainers and so many more people who came along. Probably the best thing was the ability of the North East community to tell the people who are making the decisions in Westminster our unique problems. We learnt much, but whatever your politics Chris Grayling probably has the toughest job of all in Westminster. Today is the 200th anniversary of Charles Dickens birth and appropriately enough I will be at a groundbreaking school - Prudhoe Community High School - to celebrate the fact and also welcome Chris Grayling, MP, and many other guests to our jobs summit. We have invited businesses, apprentices, councillors, other employers, students and many more to come and meet the Minister, discuss what we can do about unemployment, and make sure the message of what is going on in the North East gets back to London. I am also hopeful that it will show how the Work Programme is making a real difference in tackling the problem of long term unemployment. Freezing, foggy and with an inch of snow on the ground in Northumberland this morning. After a spade of metal thefts across Northumberland I am pleased to back the Home Secretary's announcement last week that cash payments for scrap metal will be banned and penalties increased, as the Government steps up its action against metal theft. In November last year the Government announced that a dedicated metal theft taskforce would also be established. These changes are part of a wider plan to tackle all stages in the illegal trading of stolen scrap metal and further measures to crack down on rogue dealers will soon be outlined. People across Tynedale are disgusted by metal thieves and the criminals who deal in stolen metal. We need to protect business, the public and our national heritage from metal theft and that’s why I’m pleased to back the Government’s action. It’s right that the Government is stopping cash payments and introducing tough penalties to clamp down on the illegal metal trade. Syria - no agreed UN resolution and, in any event, are we the worlds Policeman? So we have no UN resolution and once again there are calls to intervene. This is unlikely to happen without a UN Resolution as there was with Libya. The Syrian government is clearly determined to kill its way out of any trouble. I regret that the UN resolution has not gone ahead. The massacres are getting worse. The difference in 2012 for Syria is that the democratic genie is out of the bottle and I am remain of the view that the Assad regime will not survive 2012. There is close to a full scale civil war now and it is a great shame that China and Russia have vetoed the UN Resolution. "The US said the veto was "shameful", while Britain said it "lets the Syrian people down". France also condemned the block at the UN Security Council. Russia and China said the proposed draft was "unbalanced". The document was rejected just hours after activists accused Syrian troops of killing at least 55 people in Homs." The key comment there is the fact that Russia and China found the draft unbalanced - if it is reworded I suspect that there will finally be a document that Russia and China will sign. Once again the spectre of a Greek default stalks the corridors of Europe. I love the movie Groundhog Day but it does feel as if we have a summit every month and still the Eurozone leaders fail to grasp the fact that Greece is bankrupt, and that the Euro in its present form is a disaster. The latest round of bank financing has helped but another crunch point of financing is approaching for the defunct Euro and its weakest member, Greece. Clearly the country is failing to meet its targets of cutting public spending. If it does not do so then it will receive no more bailouts. But then we have been here before. Greece is in a parlous state and Greeks are transferring their money out of Euros and out of Greek banks in droves: interestingly they are putting a lot of their money in pounds in British banks and buying property here. I was on the North East Politics Show two weeks ago and our unemployment is clearly too high. But look over your shoulder. In Euroland unemployment is so much worse - the figures are simply terrible both in terms of youth unemployment and of general unemployment. Youth unemployment has gone above 50% in Spain and above 40% in Greece, and general unemployment in these countries is 3 times what it is here. The Euro countries should ask themselves why they are so much in love with the currency scheme which has helped to bring about such a crisis. Handing over a cheque for £3050 at Queens Square Hospital a couple of weeks ago: my thanks to all our supporters who gave so much time and money in support of a wonderful hospital and during the fundraising walk along Hadrians Wall. I was also lucky enough to meet many of the specilaists and be able to see some of the great work done by the hospital, and its new facilities. Then this week I also met with many clinicians, patients, campaigners and parents or partners in the House of Commons, along with my Labour colleague Paul Blomfield, MP, who has also recovered from a meningioma. It was a very moving afternoon and good of the Secretary of State to come and talk to all of the group and take questions. Whether you agree or disagree with the reforms Andrew is genuinely good at coming to meet with clinicians and interested parties to explain what he is doing and the way in which the reforms will develop. Everyone knows I cycle into Westminster unless it is lashing with rain: the Minister for Transport is the wonderful Theresa Villiers, MP. Last week she came off her bike and broke her left collar bone. Yesterday she came back to work and whilst waiting to vote we compared war wounds. I broke my right collar bone many years back, when a horse called Lowlander was brought down at Leicester races, sending me flying into the air at 35mph, smashing the bone in 4 places: like the Minister my bone needed a plate to hold it together. As always with breaks it hurts a lot. 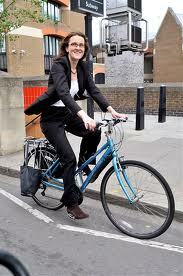 The bald facts are that 111 cyclists died on Britains roads last year, and 2660 were seriously injured. Cycling is a growing sport - in the last few years both Chris Hoy and Mark Cavendish have been named Sports Personality of the Year. It is great that so many people are cycling to work - thereby keeping fit, reducing emissions and congestion, but we could do so much more to make sure that cycling on urban roads and in Northumberland is safer. This shows what a Mayor can do: I would hope that Newcastle's Mayoral candidates will look to make cycling a priority. I shall certainly be having a word with the Hexham and Ponteland and other local Town Council Mayors to see what we can do to make cycling in and out of the Hexham towns a little easier. Towns in places like Denmark, the Netherlands and Germany have shown that a little effort can make a massive difference, and we need to make our towns an ever more attractive option for the cycling tourists who are coming more and more to Northumberland. Yesterday the House of Commons debated whether Newcastle be given the opportunity to have a Mayor. To my amazement the Labour politicians all voted against the proposal. The truth is that the Coalition Government is giving people the choice over whether to have an elected mayor or not. Let the People Decide...now theres a strange concept!